Heading to Disney World? 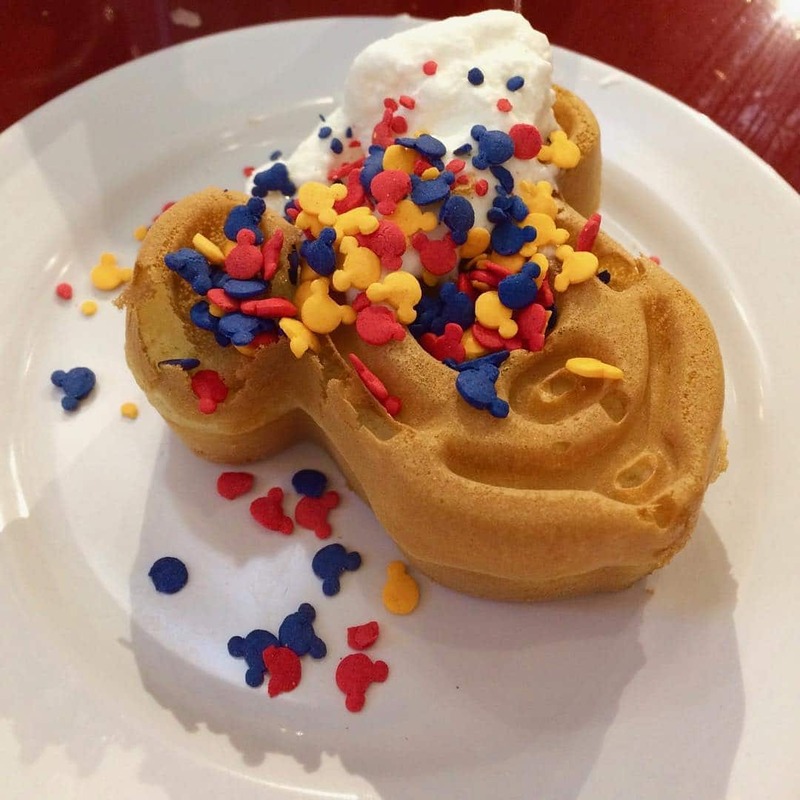 Here’s a quick 101 on how to make Disney dining reservations and the rookie mistakes to avoid. Especially if you want to dine at the Be Our Guest or Cinderella restaurants. If you’re breathing a sigh of relief now you’ve actually booked your Disney World vacation after deciding when to go and where to stay I’m sorry to say your work is not yet done! 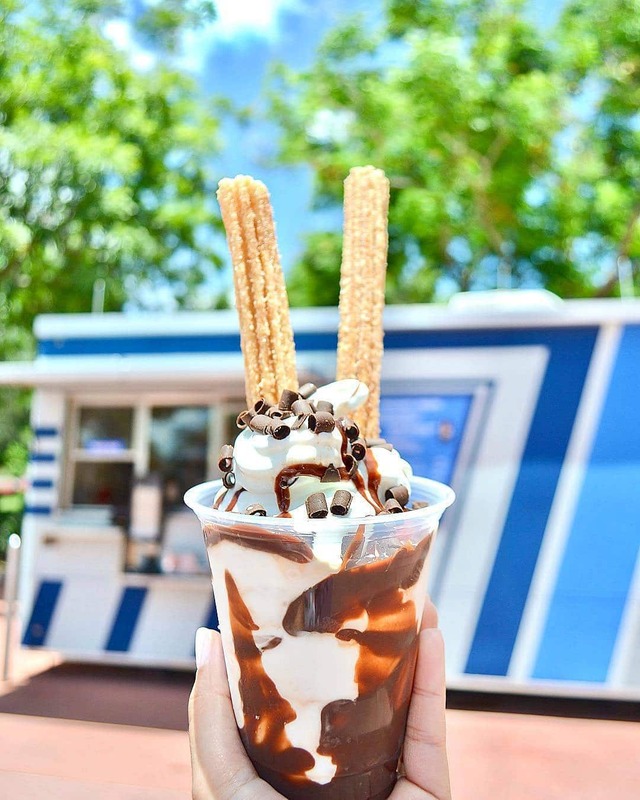 There are three very important things you do before you can kick back and enjoy your vacation and that’s plan out your itinerary, book your Fastpasses and make your Disney dining reservations. 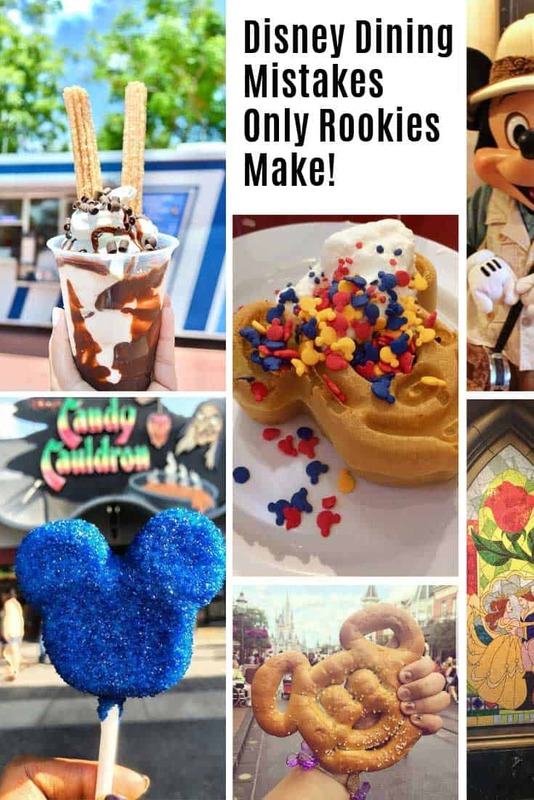 Today we’re going to tackle the food relating one with a 101 on how Disney dining reservations work and the 13 rookie mistakes you need to avoid if you want to eat where you want when you want. 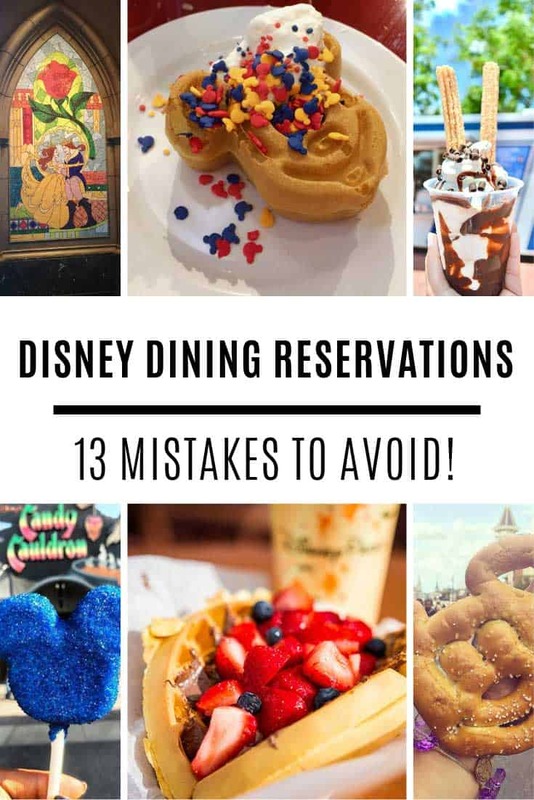 You especially need to read this if you have dreams of dining with Cinderella at her Royal Table or dining inside the Beast’s castle in the Be Our Guest restaurant. 180 days!! Six months!! I have to decide 6 months before my vacation what I’m going to want to eat for dinner?? I don’t even know what I want for dinner today! It sounds crazy, but dining reservations at Disney World both at the themeparks and the Resort hotels are akin to gold dust. And if you don’t grab those reservations when your window opens you’ll end up disappointed. Now don’t get me wrong, there are lots of place to eat at Disney World that don’t need a reservation. But you’re talking Quick Service dining and if you’d rather have a sit down meal with a server you need to plan ahead! If you’re wondering how on earth to figure out when your 180 day window opens just head over to this handy dining reservations calculator, plug in the arrival date of your trip and the system will tell you the all important date you need to mark on your calendar to make those reservations. One thing to note if you’re from the UK, the dates on the calculator are American style so make sure you read them backwards – i.e. if it says your 180 window starts on 05/07/2014 that’s the 7th of May, not the 5th of July! I know, I know I just told you it was 180 days before your trip that your reservation window opens, but that’s if you’re not staying at a Disney World Resort hotel. If you are then you get a special perk… a 10 day head start on non-Resort guests so you can actually make your dining reservations 190 days in advance! That might feel like an extra stressor than a perk, but if you want to get some of the hottest reservations that head start will come in handy! You could bring your own food into the park and have a picnic lunch. 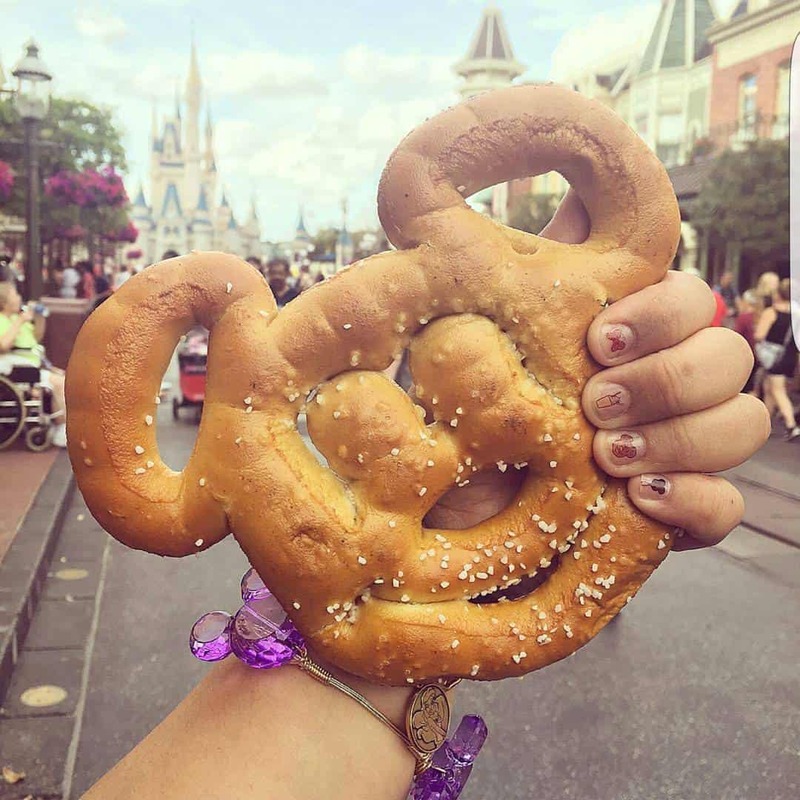 Disney is happy for you to bring your own food into the parks as long as you are sensible with the amounts; a family-sized cooler is acceptable, a huge sided cart on wheels would be turned away! We use an insulated backpack (like this one) because it keeps all our lunch, snacks and drinks cool and is super easy to carry. You could visit one of the Quick Service restaurants. Think fast food, but better quality and variety than McDonalds or Burger King. 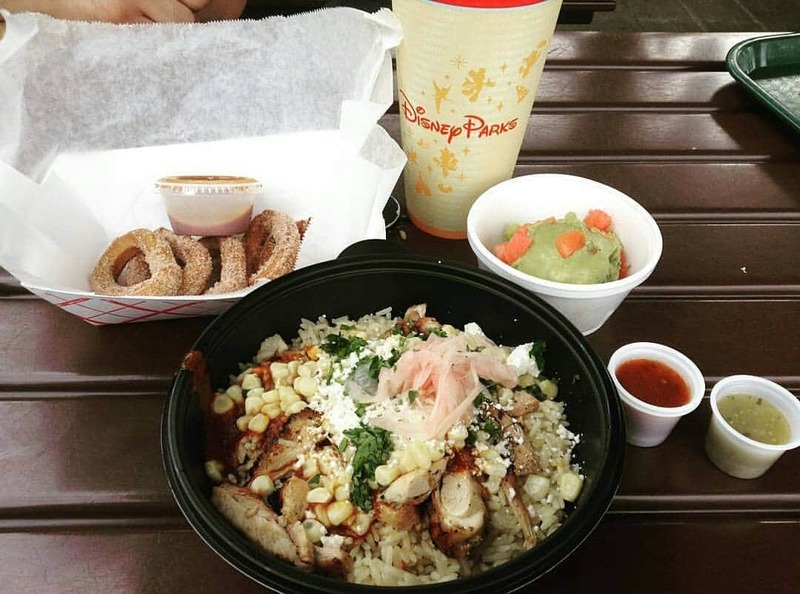 There are a variety of different quick-serve restaurants in each park and they serve much more than just hot dogs and hamburgers. Most have healthy options for you and the kids, as well as vegetarian and kosher meals. You could experience one of the table-service restaurants. As the name suggests these are sit down meals with a server, and you might be surprised to read that some of the table-service meals in the parks are prepared by world-class chefs! Finally you could experience character dining. 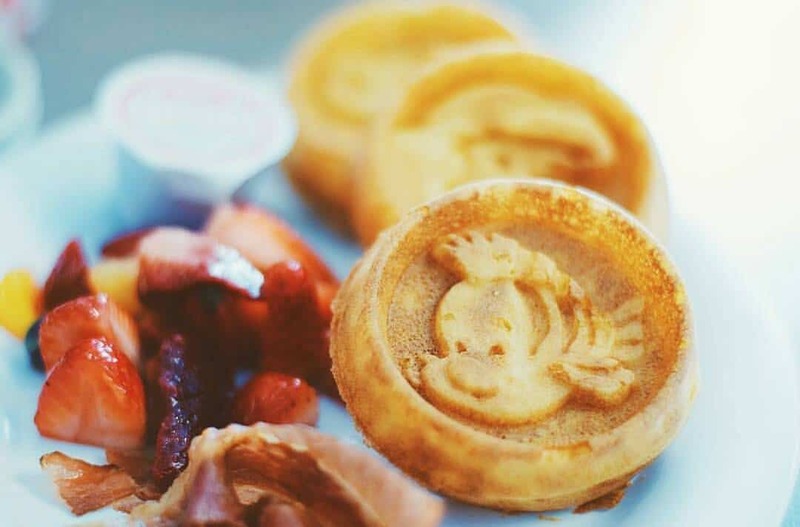 These special meals are hosted at some of the table-service restaurants throughout the parks and you will be visited at your table by Winnie the Pooh, Mickey Mouse, or a fairytale princess to name but a few of the characters. 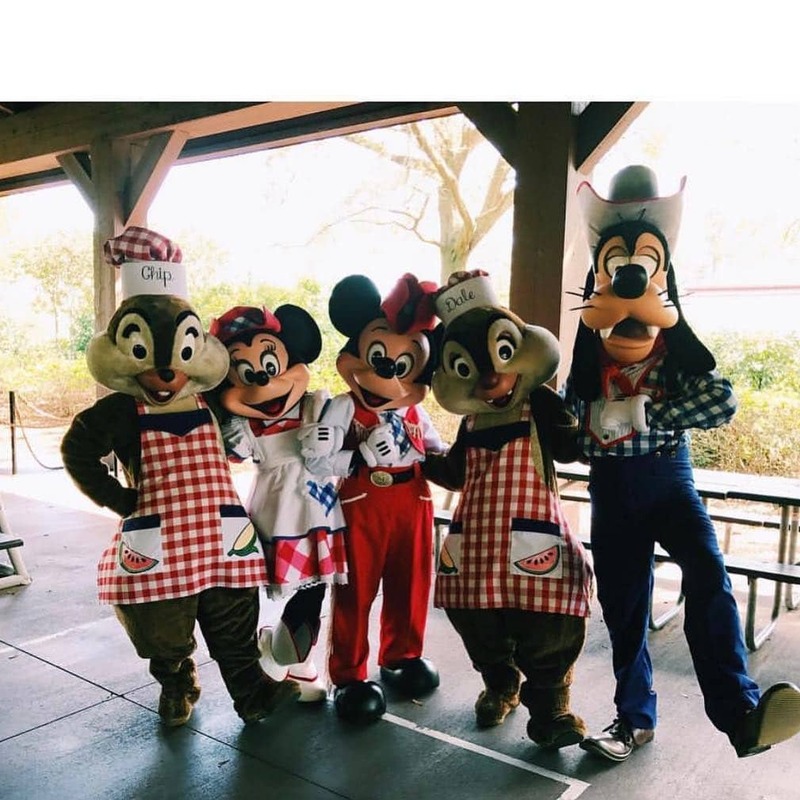 You might decide to bring a picnic lunch, or visit a quick-serve restaurant for lunch and then eat at a table-service restaurant, or dine with your favourite character at dinner time. For picnic and quick-serve meals you can just mark these as such on your planner so you don’t need to decide where to eat when you get to the park. Just make sure you note down the name of the quick-serve restaurant so you don’t forget which one you selected! If you want to try one of the table-service or character dining experiences you will need to make a reservation. So make a note of the restaurants, dates and preferable times on your planner so you have the information you need when the booking window opens. There are also many great restaurants in the Resort hotels so it is definitely worth checking out their menus while you’re making your plans. 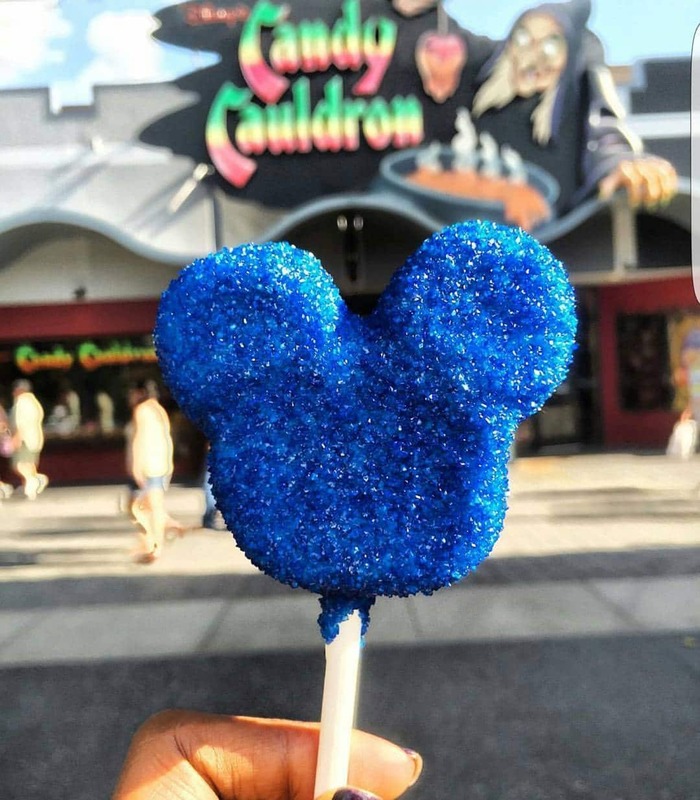 One thing you do need to think about is how you will get from your hotel to the one you want to eat at; it’s pretty easy if you have a car but it can be quite time consuming and convoluted to travel between hotels on Disney Transportation. 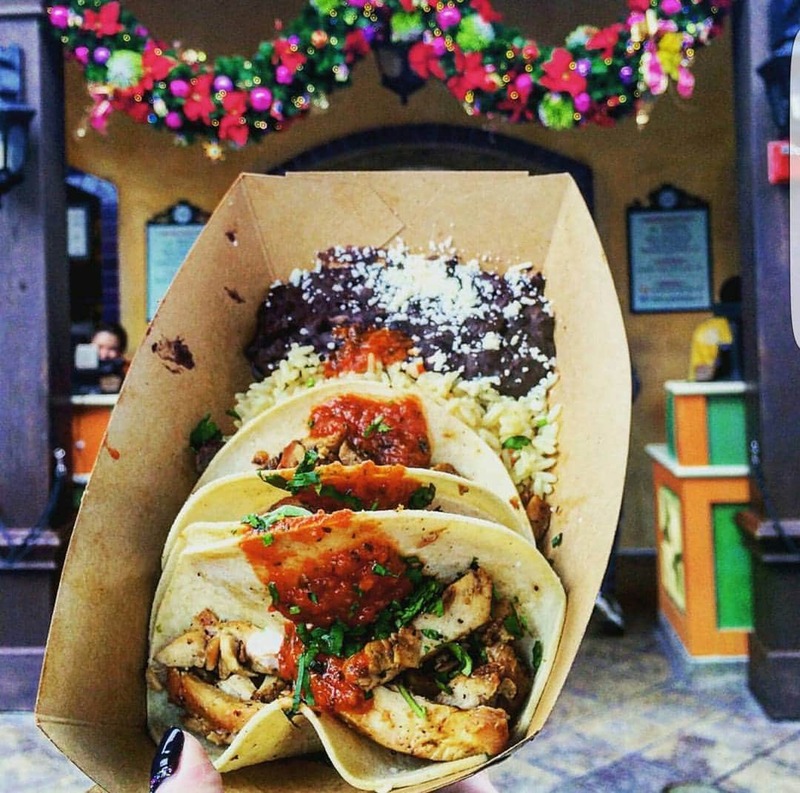 Eating at Resort restaurants is just one of the 37 things you can do at Disney World without themepark admission! Character dining takes place at restaurants inside and outside of the parks. They’re a great way to get your dose of character interactions without having to wait in long lines at the the theme parks. 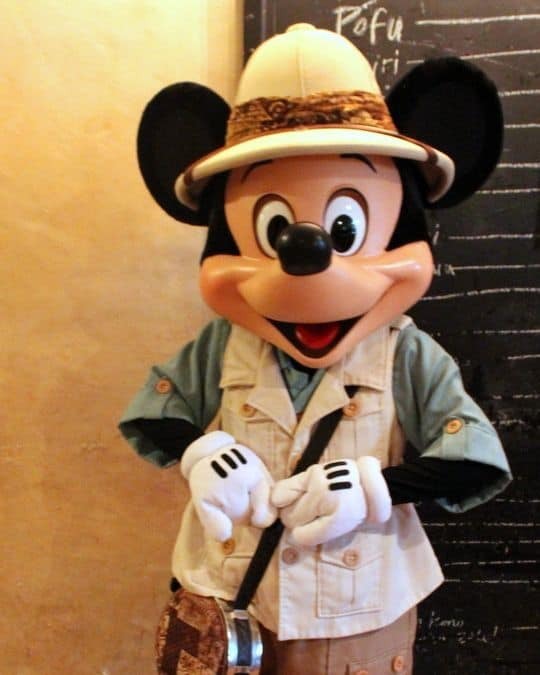 If you’re planning lots of character meals you might want to see if the Disney Dining Plan could save you money. There are over 130 restaurants across the Walt Disney World Resort and over half of them allow you to make advanced dining reservations. 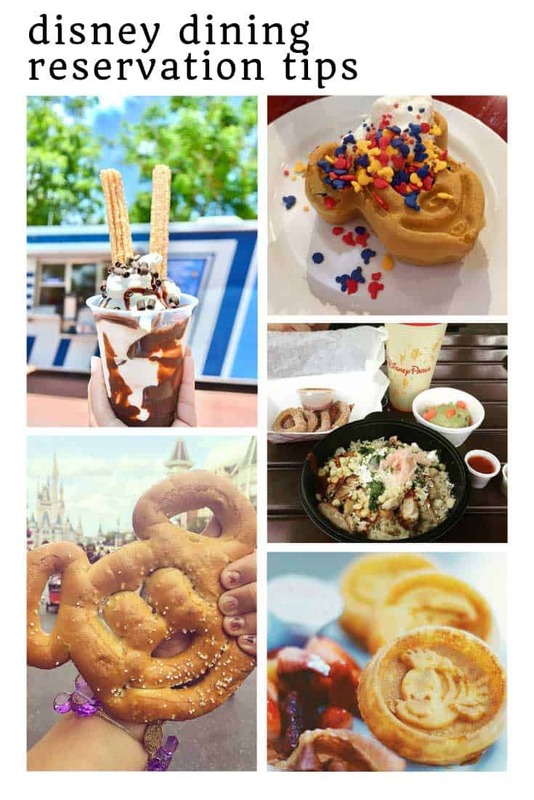 That’s a lot of restaurants to consider and you could write a whole book about which ones serve what and whether you should eat there or not… In fact someone has written that book, it’s called the Disney Food Blog Guide and here’s the link if you want to check it out. 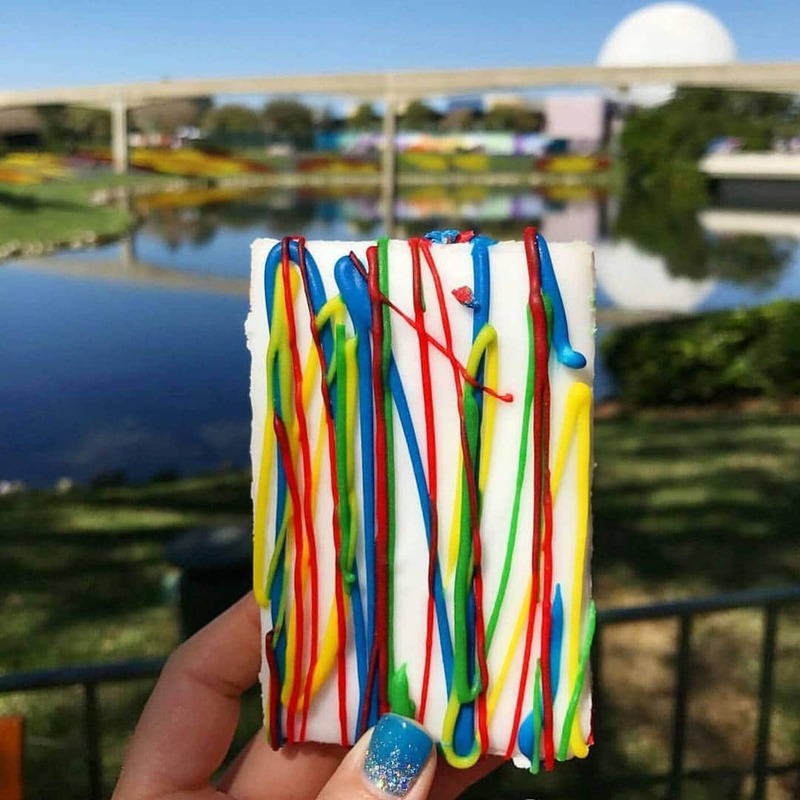 If you just want a better idea of what’s available to suit your family’s tastes then you can just head over to the Disney Food Blog website and use their restaurant search tool to help narrow down your choices. Here’s the link to the tool. You can select the type of restaurant you’d like to eat at, or the park or hotel you’ll be visiting that day, or even the amount of money you’d like to spend. Just plug in some choices and the tool will offer you a choice of restaurants as well as useful information like menus and how hard it is to get a reservation! You will need to have a credit card available to secure each reservation that you wish to make. There’s no charge applied to your card at the time of booking unless you’re making reservations at Cinderella’s Royal Table or booking a dinner show like the Hoop-de-doo Revue. You don’t have to use the credit card you use to make the reservation to actually pay for the meal. The important thing you need to know is that reservations are made on a credit card guarantee, so if you don’t show up you will be charged $10 per person in your party. If you change your mind about a reservation make sure you cancel it online or by calling 407-WDW-DINE at least 24 hours before in order to avoid the charge. Rookie Mistake #7 Not knowing HOW to make your dining reservations. Once you’ve decided where you would like to eat, and on which particular day of your trip, you’re ready to make a dining reservation. Don’t forget you can’t book anything until 180 days (or 190 if you’re a Resort guest) before the first day of your trip, but let’s go over how you actually make the reservation so you feel prepared when the time comes! 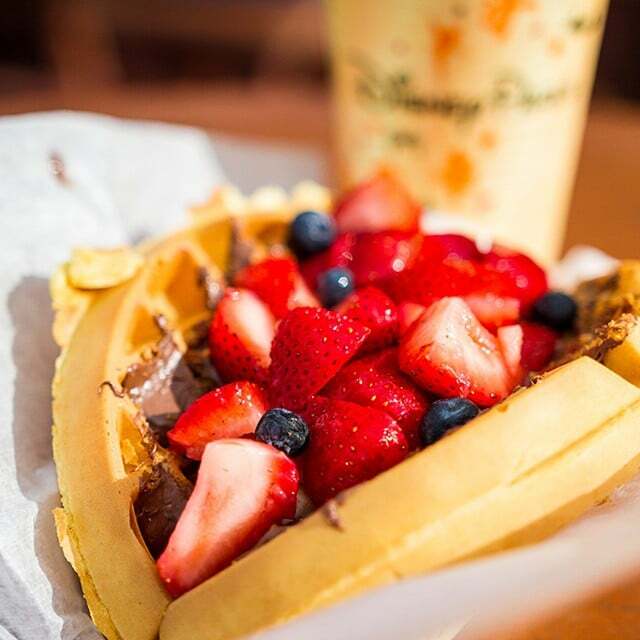 You can make dining reservations online, using the My Disney Experience app or by telephone (407-WDW-DINE). You will need to know your vacation reservation number so you can tie your dining reservations to your room booking. If you are staying in a Disney World hotel you can make reservations 180 days in advance, plus up to 10 days of your vacation stay. So you should attempt to make reservations 190 days before your arrival day. If you’re staying offsite you’ll need to go online or use your app each day to make your reservations (i.e. 180 days before each subsequent day of your vacation). If you want to make your reservations online you’ll need to log into your My Disney Experience account then go to the Things to Do tab and click on Make Reservations. The reservation window opens each morning at 7am Eastern. On the Make Reservations page you will see a list of all the restaurants. You need to enter in the number of people in your party, the date and then the Resort hotel, park of area. You’ll then be able to see which reservations are available that day. When you see a time and restaurant that you want click on the time to make the reservation. Finish entering your details and then you’ll be able to see the reservation appear in your account. Repeat this process until you’ve made all of your desired reservations. You can also make your dining reservations using the My Disney Experience app if you’d prefer to use your smart phone or tablet. Open the app and click on the dining tab in the upper left corner. Then enter the date, number of people in your party and time of day. You can also search by location or type of cuisine. When you see a reservation you want to make just click on the time. If you don’t have access to the website or the app then you can call 407-WDW-DINE to make your reservations over the telephone. Just like when you’re making your Fastpass reservations you need to make your dining reservations in order of popularity rather than date. So let’s say you’re travelling on December 1 through 6 and you want to eat at Be Our Guest on December 6. If you start with your reservations for December 1 by the time you work your way down the list to the Be Our Guest reservation they’ll likely have limited times available (if any). Instead you need to try to score your Be Our Guest reservation first. This sort of follows on from the previous tip. If you know you are going to want to eat at Cinderella’s Royal Table or Be Our Guest pencil those in for the latter part of your vacation. Firstly because it means you are more likely to be able to get the reservation, and secondly because if the date has “sold out” you have some wriggle room to try another day. Getting a table at Cinderella’s Royal Table or the Be Our Guest restaurant is a little like winning Willy Wonka’s Golden Ticket – everybody wants a reservation but only the lucky few actually get one. The best way to secure a reservation is to be a Resort guest so that you get that 10 day head start, and to be online or on your phone the second that reservations open at your 190 day mark. But all is not lost if you don’t manage to get a reservation, because you can try and grab a cancellation instead. Remember that credit card guarantee that means you have to pay if you don’t show up to your reservation? It is there to encourage people to actually cancel rather than just let their table go to waste. And this works in your favor. Think about how many people change their plans during their vacation, or spend more than they budgeted for. When those people cancel their reservations they are opened up for other guests. About a week before your trip you need to start checking My Disney Experience online or via the app several times a day. Think about when people would have time to call to cancel, before work, at lunch time and in the evening when the kids have gone to bed. Those are the times you want to be online checking for an opening. Your chances of grabbing a reservation should increase in the 72 hours before the time of your preferred slot so make sure you check around then too. 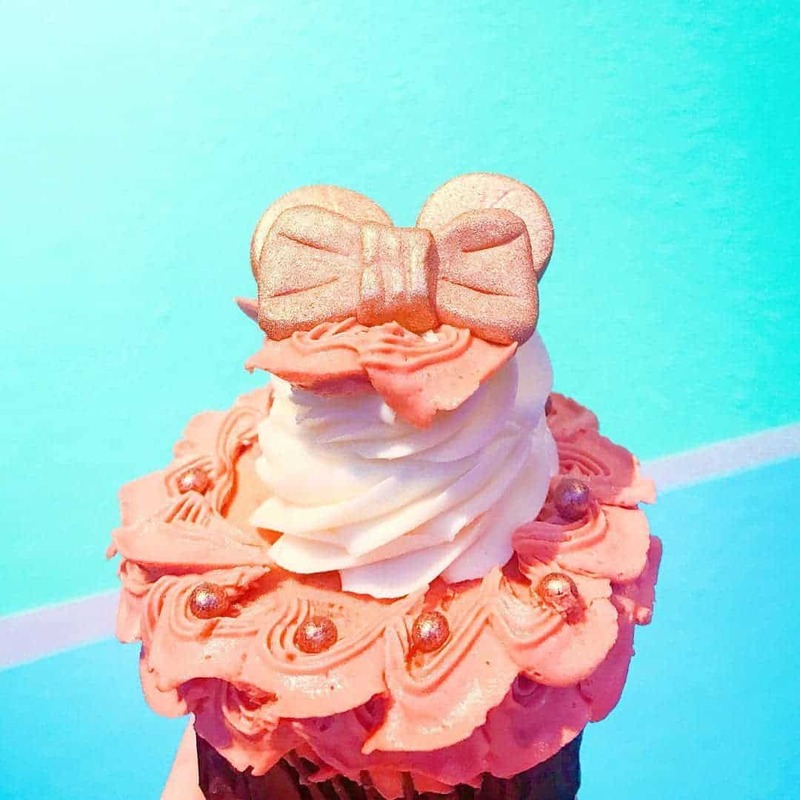 And if you can’t secure a reservation at Be Our Guest for dinner, don’t be disheartened because they have a lunch option too, and that doesn’t need a reservation at all. If you want to eat at one of the popular Disney Springs restaurants and you can’t get the reservation you want via My Disney Experience hop on over to Open Table instead. Many of the restaurants offer up additional slots there. It is very important to be clear that having a reservation at a themepark restaurant does not allow you entry in to the park without a ticket.